At Rendel's, our business is built upon a two-fold foundation - excellent workmanship and extraordinary personal service. This tandem is vividly exemplified with our full line of premium Hunter Douglas Window Fashions linked with our extremely knowledgeable and helpful design assistants, who go that extra mile in helping you make that perfect choice! 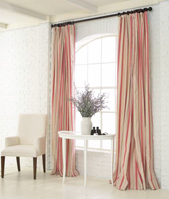 Custom Draperies - We do all types of draperies in our very own workroom. 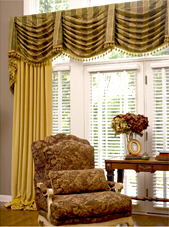 All types of blinds, shades, and shutters.